Laura's Birding Blog: Crane Festival! I have the weekend off. 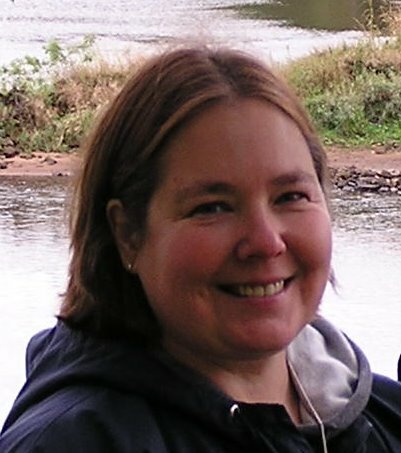 Jane Duden, the Whooping Crane reporter for Journey North, and I are headed down to the Necedah National Wildlife Refuge in Wisconsin for this year's annual Whooping Crane Festival. I've been a speaker at this splendid event in past years, but this year I'm just goofing off and helping Jane get video and photos. With luck when I report back I'll be able to use a photo of a Whooping Crane instead of these Sandhill Cranes. Those cranes really look like Sand Hill cranes. I thought Whoopers were whiter? 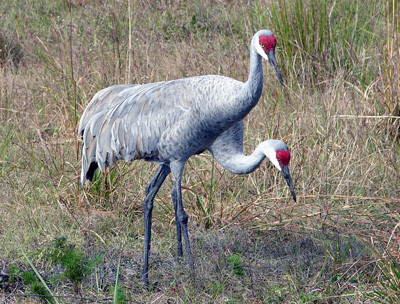 They DEFINITELY are Sandhill Cranes--I took this photo near Lake Kissimmee State Park in Florida. That's why the blog entry reads "With luck when I report back I'll be able to use a photo of a Whooping Crane instead of these Sandhill Cranes." I definitely want some nice Whooping Crane photos!